Sing the Bible is a great way to make car rides fun and fruitful! There's a good mix of silly and scripture on these collections, and the topics covered in the songs can be great conversation starters. Check out Slugs and Bugs Lullabies, Volume II, Volume III, and Slugs and Bugs Christmas. 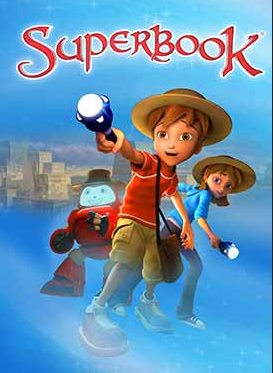 Superbook is another go-to for us in the car DVD player. A remake of the 80s classic, these short Bible stories have great animation and real-life application as Chris, Joy, and Gizmo travel back in time to witness the stories first hand. Because these are so accurate and don't beat around the bush on any hard issues--they are probably better suited for older children, so give them peek first and use your discretion. All episodes end with the catchy "Salvation Song" which perfectly spells out the gospel for children. Some of our favorite episodes are: David and Goliath, The First Christmas, and Daniel and The Lion's Den. Graham Blanchard's board and activity books have made a priceless investment in the spiritual growth of my children's since before they were born. Suited for ages 0-7, these books help children celebrate their spiritual anatomy of being body, soul, and spirit. They also help highlight and beautifully illustrate the red letter scriptures of Jesus and make them interesting to even a baby learning new words. The coloring books are full of diversity, beautiful, bold--and full of inspiration. Some of our favorites are: Jesus Inspires Me Activity Book, Wings Activity Book, The Knowing My God Series, Close As a Breath, Little Seed: A Life. The Jesus Storybook Bible is another bedtime favorite around here. The stunning pictures and beautiful writing have a way of captivating little ears, eyes, and hearts from the earliest ages. This is also a great resources for teaching your children how all the stories in the Bible point back to Jesus and his sacrifice on the cross. We all know that quiet times after kids are not always--quiet! But, 100 Favorite Bible Verses for Mommy and Me is a great way to have a devotional time with your little one and come to the feet of Jesus together. Wee Believers makes the cutest little plushies--check out Louie the Lamb that recites the Lord's Prayer. Though not overtly evangelical, Daniel Tiger's Neighborhood is based on the faith and values of Mr. Rogers. While you can get this free on PBS, we have several DVDs for long road trips. Daniel helps children process their emotions and develop social skills in a healthy and respectful way. With catchy songs and relatable stories, Daniel has even improved my parenting skills significantly. This is great for those terrible twos and tough threes. Need something relaxing and spiritually refreshing for you, Mama? 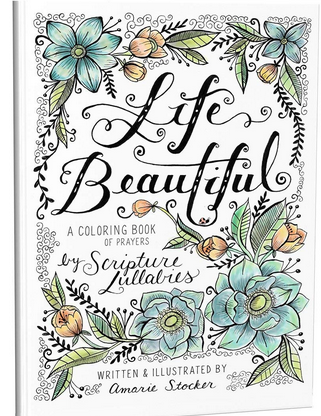 The same company that makes Scripture Lullabies makes this stunning adult coloring book, Life is Beautiful, which is full of prayers. Work through it in your downtime or make it a fun thing to do with your child. This purchase also comes with 13 free lullaby downloads---which is a lovely perk!